RETIG, the parent company of clean energy supplier Tonik Energy, has acquired renewables contractor The Phoenix Works. The deal will see the two entities build on an existing partnership which has seen solar PV, battery storage and EV charging solutions installed since early 2017. Leeds-based The Phoenix Works has been running since 2010 and currently has a team of 20 installers working on projects at residential and commercial-scale. Tonik meanwhile is a relative newcomer to the energy supply market having launched in 2016. Its stated aim is to halve its customers’ energy bills by deploying small-scale renewables and other energy technologies, allowing them to generate, store and ultimately use their own power. 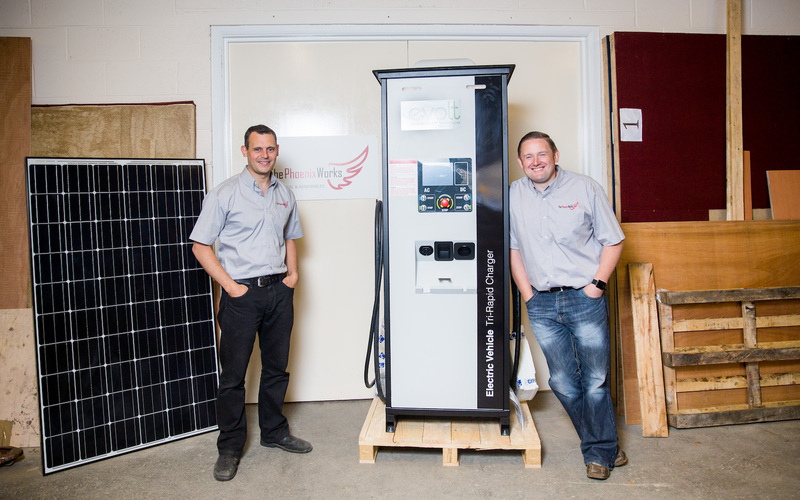 The two have now set a goal of installing more than 10,000 EV charge points and deploying a “mass market” solar-plus-storage solution for homes and businesses over the next three years. Chris Russell, managing director at Tonik, said there was a “great synergy” between the two businesses from an early stage. “By aligning Tonik and Phoenix even more closely, we believe we are well placed to accelerate our plans even further; there is a massive opportunity to unlock genuine value and carbon savings for customers. In doing so, we can remove the existing barriers to purchase that many households and businesses have come up against in the past, changing the way people generate, store and use energy. Last year Tonik penned a partnership agreement with battery storage manufacturer Powervault to trial a new ‘storage tariff’ in the UK market, one which incentivised consumers to charge during off-peak times and discharge when power is at its most expensive. Energy suppliers acquiring renewables installation businesses or offering installs themselves has become common place in recent months. As well as more notable plays from the likes of E.On, Nissan and Centrica, Ecotricity moved quickly to acquire SunEdison's UK rooftop PV interests after its collapse, while the likes of Good Energy and Vattenfall have spoken of keeping a watchful eye on the UK domestic solar market.